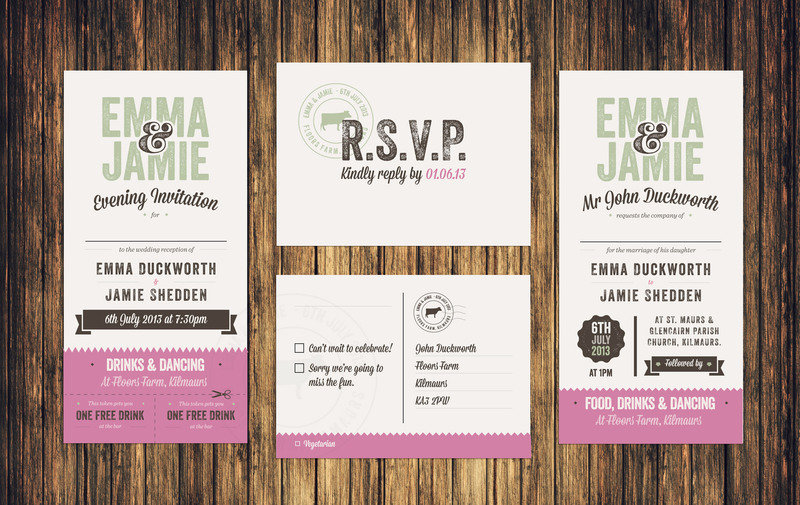 I was asked by Emma & Jamie to design their entire wedding stationery for them. 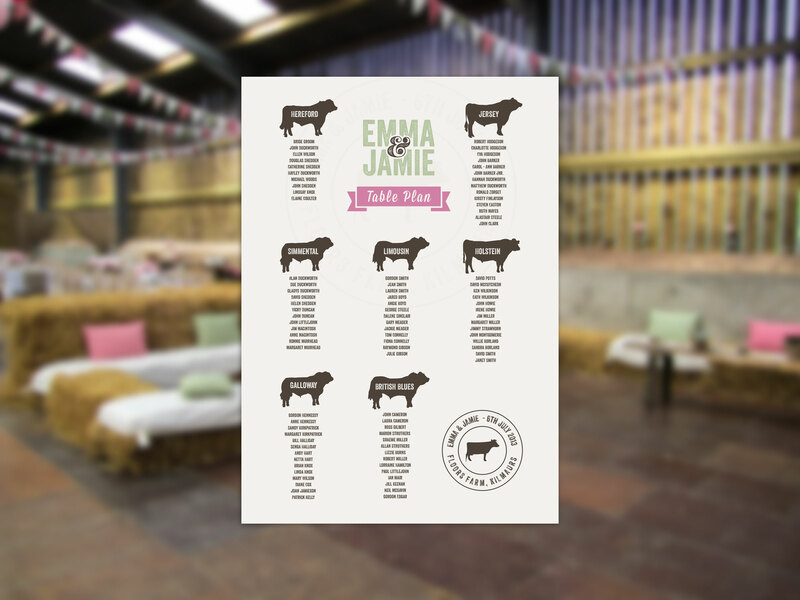 The wedding took place at the bride's family dairy farm and they wanted the overall look and feel of the stationery to reflect this. The designs couldn't be too traditional or airy fairy. I used bold colours, strong and interesting typographic layouts, textures and a custom badge / stamp to give the whole thing a country, hand made and fun look and feel.